Costas has studied Business Administration at the Athens University of Economics and Business and has long professional experience in the financial sector. He held top management positions in banks and insurance, investment, brokerage and auditing firms. Currently, he is the Managing Director of Lifestream Ltd Consulting Services. Also, he serves as a Member of the Board of Directors of Archbishop Makarios III Foundation in Cyprus (2009-present) and as a Diocesan Commissioner of the Enthroned Commission of the Archdiocese of Cyprus (2013-present). He has served as the Managing Director of the Alpha Bank Cyprus Ltd (2002-2011), Alpha Insurance Cyprus Ltd and Alpha Trustees Limited (2005-2011), Alpha Finance Limited – [brokerage firm] and Alpha Asset Finance Limited [hire-purchase Company] (2005-2006) and as the Director of Alpha Group Investments Ltd and Ionian Equity Participations Ltd [investment firm] (2006-2010). 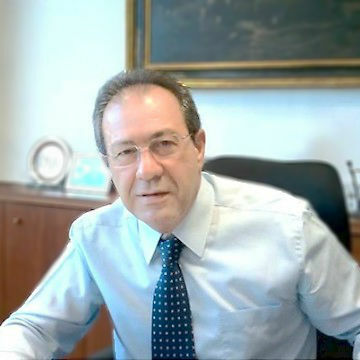 Also, he served as the Chairman of the Association of Cyprus Banks (2008-2009) and of the Cyprus Bankers Employers’ Association (2007-2008).